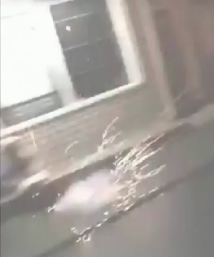 Chilliwack – Three nights of firecrackers and attached devices thrown at the homeless came to a head on Tuesday night when that attack was captured on a Snapchat video. That finally caught the eye of Vancouver media. But what was lost was some of the back story that was viewed from the balcony of FVN Fraser Valley News. Don Lehn is the FVN News Director and also the Vice President of the Chiliwack Alano Club, and knows a little more of what was going on. 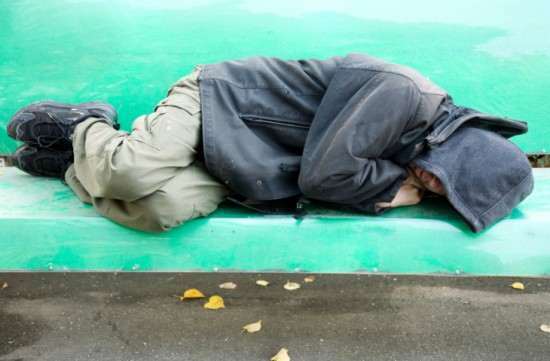 Sunday night (October 28) was the first attack on the homeless, in particular a man commonly known as Homeless Tom. A group of homeless people were in front of the Pawn shop, next to the Alano Club off Victoria and Nowell. Around 10 PM screeching tires of a car were heard and then what sounded like a combination of explosion and gun shot. A full regiment of RCMP showed up some 10 minutes later. It appeared to be a loud firecracker. On Monday night (October 29) , again around 10PM, the same scenario and again Homeless Tom was in the mix and again, the same location. This time just two cruisers came by. This time it was a firecracker in a paint can and Homeless Tom was splattered with paint. Tuesday night (October 30) was the event that was captured on Snapchat. The video was that of a homeless person on Victoria and Fletcher (near a closed thrift shop). Shortly after THAT attack, again Homeless Tom was hit by an incendiary device between the Pawn Shop in Victoria and the Alano Club on Nowell. Again, between 9 and 10PM. Police were called and one lone RCMP supervisor rolled past. That’s when FVN staff called Mayor-Elect Ken Popove to express concern. Homeless Tom is well known in the downtown core, as a gentle soul, although some of the company he keeps, have taken advantage of him. For the record, Homeless Tom , just 10 days before the firecrackers, was bear sprayed by someone who tried to steal his grocery cart of his belongings. That was in broad daylight, between the Pawn Shop and the Alano Club and again FVN staff called 9-1-1. Since the Snapchat video, downtown has been fairly quiet, although the rain and wind contribute to a quieter neighbourhood. Sadly, many of FVN’s neighbours as well as members of the Alano Club, have not been surprised over what has happened over the past week. It’s business as usual. Be the first to comment on "Three Nights Of Firecrackers At Chilliwack Homeless, Not The First Attack"